My favorite dress of the 2014 Emmy’s belonged to Cat Deeley from So You Think You Can Dance. Simply magic! The color, the material … it was Burberry. And I want it for Christmas. Of course I have no place to wear it but I will figure that out LATER. Bill are you reading this?!!! If you are just joining in — this is my THIRD Emmy’s Red Carpet coverage post. Keurig asked me to join them in LA over the weekend and of COURSE I said yes. Lady in red – va va voom! Christina Hendricks was red on red and she looked GREAT. Another show I don’t watch – Mad Men. UGH! Apparently, I watch the wrong kinda TV. In case you were wondering, her satin gown was from Marchesa. Oh look – it’s someone from the upstairs! Michelle Dockery from Downtown Abbey wore a Rosie Assoulin dress with a mid-driff cutout. Now, let’s talk about this. The entire time she walked down the red carpet, she was covering the cutout which makes me think she was slightly uncomfortable with the look. Of course, for the official pictures, she was showing off the entire dress with her arms to her side. But when Michelle was not in front of the official eye, she had both arms and hands in front of her stomach. Blurry but worth it! 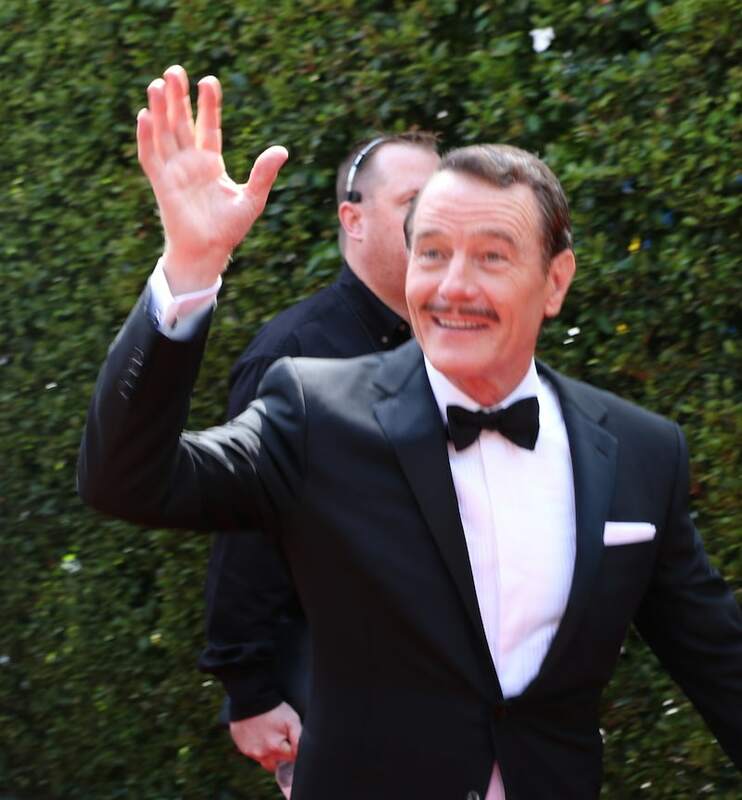 Here’s Breaking Bad star Bryan Cranston on the Emmy’s red carpet. What do we think of that stash?! He was quickly walking by but waved to everyone waiting to see him. Now… when Julianna Margulies walked down the red carpet, I knew it was her because I could see it in her face, but she was just so thin. I mean even when I did a google search to get the correct spelling of her last name – quite a difference between the photos that are available from the past and this week’s most recent shots. She can’t be 100 pounds. I actually felt… concerned. I wasn’t even looking at her Narciso Rodriguez dress (which isn’t getting much love online by the way). I was focusing more on her frame. TV definitely does add ten pounds to your frame because in real life, she is way thin. Do you watch ‘The Good Wife’? 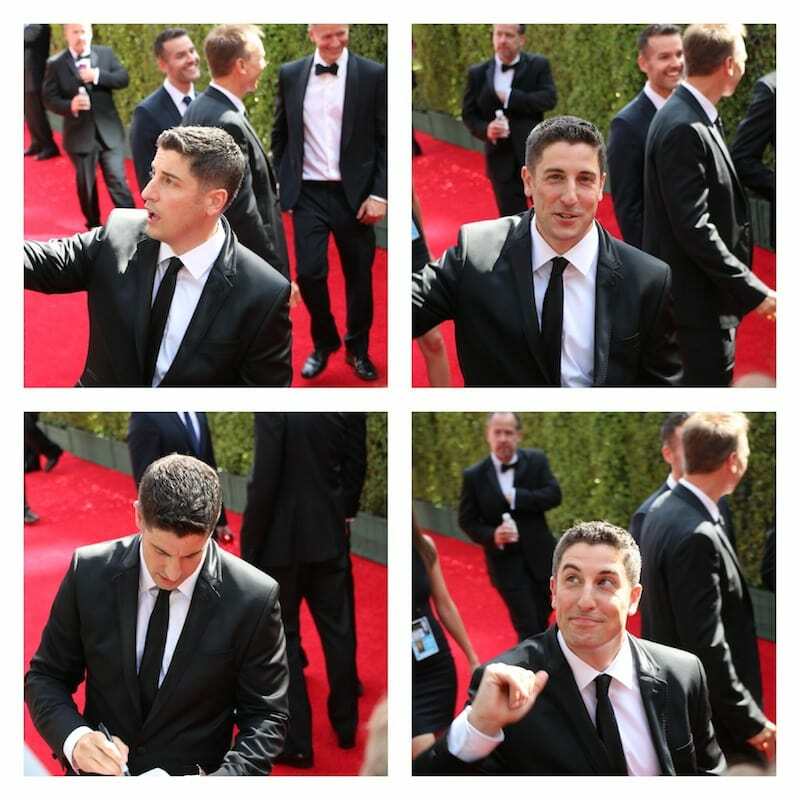 American Pie actor Jason Biggs was surprising to see!! Orange is the New Black and Deadbeat are the latest slots on his resume. Nice to see him signing autographs and posting for photos. Here’s the truth. I wasn’t going to post about Lena Dunham. Why? Because she was NOT FRIENDLY AT ALL. Didn’t look at us. Didn’t acknowledge anyone calling her name. Looked completely uninterested with the group. Like… thanks LADY! Right?! Well, she was also limping and it looked like she was in pain. I caught a part of the conversation and it seemed like her shoes were digging into her feet. She was actually leaning on people to walk. I guess I can excuse her for being in pain. But then again, it wouldn’t take much to turn around and smile or at least acknowledge her fans’ existence. I was really on the fence with this one. I also don’t watch Girls and have much connection to her. But I had to post THAT DRESSSSSSSSS. You know who looks AMAZING in real life? Amy Poehler. I mean… wow. She is super pretty. Her hair and makeup were on point and I loved her dress. Really put together. Crazy lady behind us? She shouted, “I LOVE YOUR HUSBAND! !” to Amy as she walked by. In case you don’t know, Amy and her husband are divorcing. Yup. If you are unclear about who crazy lady is – please refer to post 1 and 2. 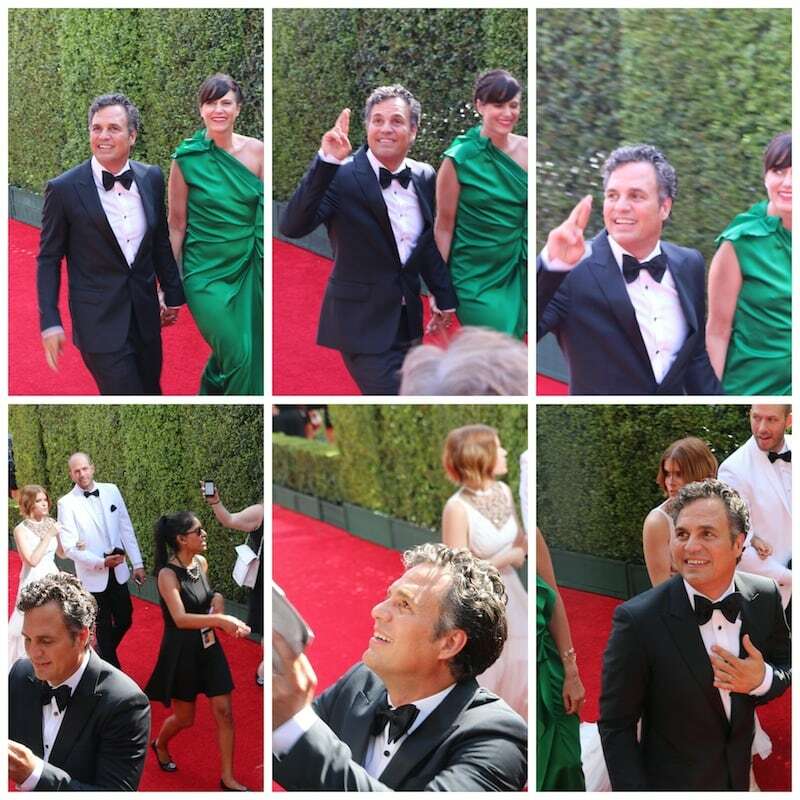 I loved how Mark Ruffalo walked the Emmy’s red carpet with his fingers crossed! That was the first time anyone actually showed excitement to the fans. It was HONEST and I absolutely appreciated it. I swear – I loved him more for it. PS, I already love him. So, please note the word MORE. Heidi Klum and Zac Posen get ALL THEIR PHOTOS posted because they are fashion royalty. I mean – come on!! And look at how great they were with the crowd. I absolutely appreciated that. 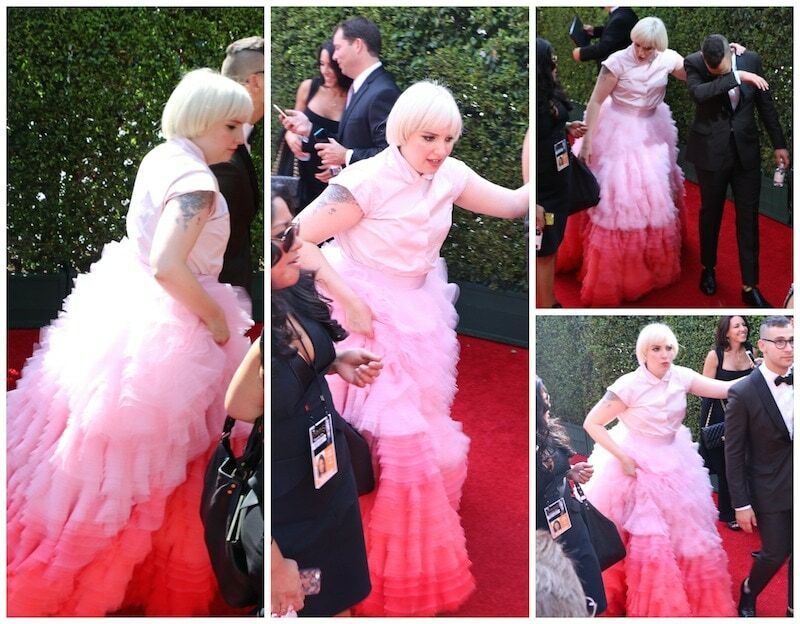 IT gave me more time to soak in Heidi’s amazing coral gown from her designer friend. Wouldn’t that be awkward if she showed up wearing someone else? In other news, I want her hair. In other other news, while I am at it… I will take her body too. Then Vanessa Williams, Sarah Paulson and Kelly Rutherford walked by rather quickly and near one another. I’m lucky I got the shots I did!! All so beautiful. I know Sarah’s dress is a bit off the wall – but I thought it went great with this season’s American Horror Story theme. So I was SOLD. Then poor Sarah Silverman got crazy ladied. Yes, I made it into a verb. I couldn’t get a nice photo of her because she was reacting to what was being shouted. I don’t blame her. To make up for all the madness, I was counter-shouting really nice things like, “HAVE A GREAT NIGHT!” or “YOU LOOK GREAT!!”. I didn’t know what else to do. I felt semi-responsible for this stranger that was near me. The LAST thing I wanted to do was to scream at the celebs but seriously… I had to do something. This is the best photo group ever. Look at the bottom right. Crazy lady got to Angela Bassett and I thought she was going to turn around and attack her. I’m just kidding of course. She’s too gracious for that. But I started screaming at the top of my lungs about how much I LOVED American Horror Story this season to defuse what was happening to my left. It was c-r-a-z-y. She turned back around to me and said thank you. I caught that image. So cool. I really did love her in the show, so I wasn’t lying. 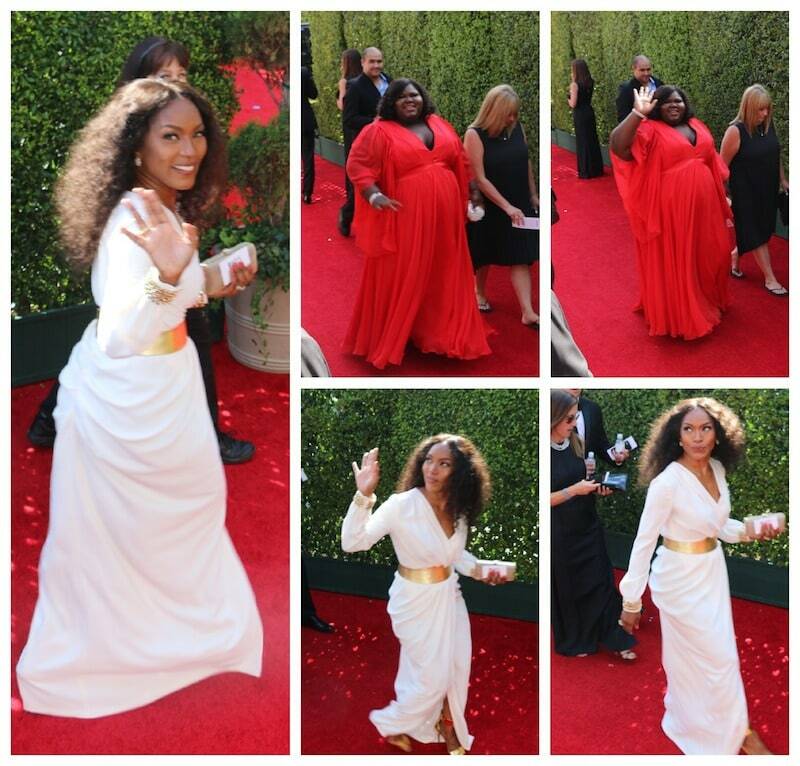 Gabourey Sidibe followed right behind Angela wearing a flowing orange floor-length gown. Breaking Bad fans – this one is for you! 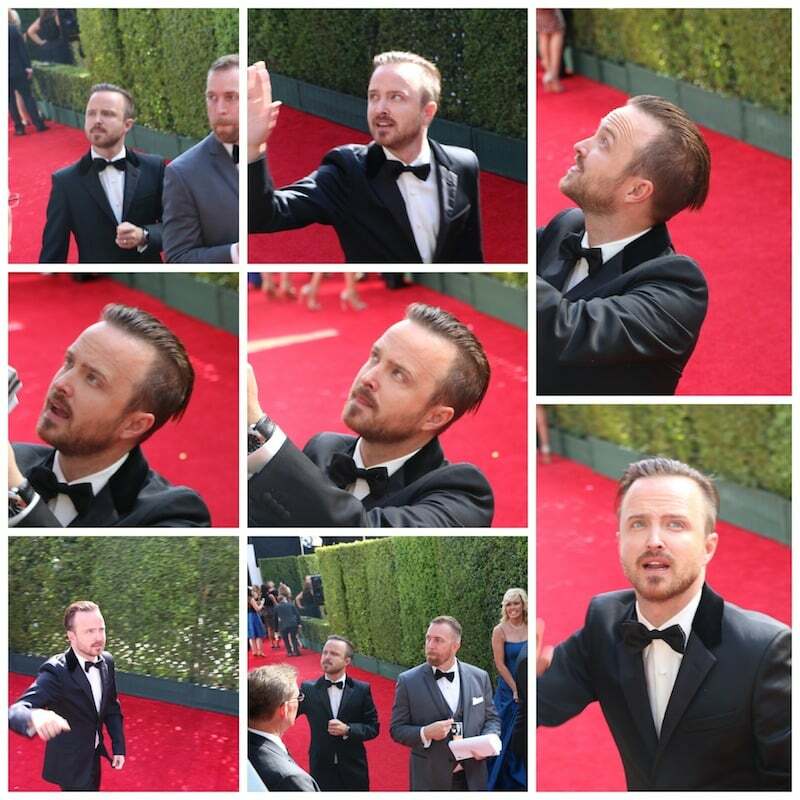 Here’s Aaron Paul signing autographs and talking to the crowd. Right before his big win!!! 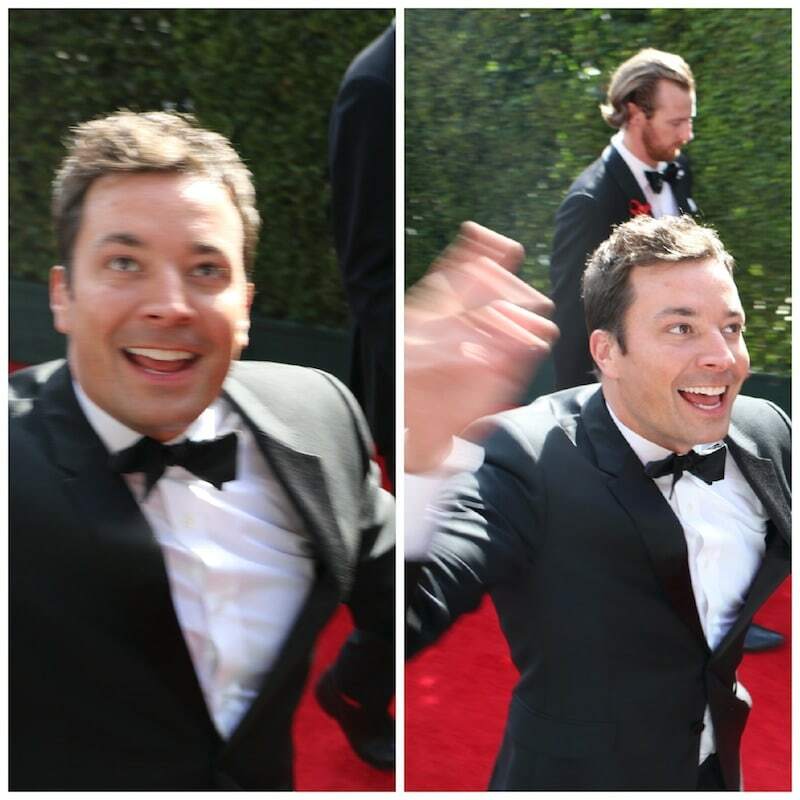 Jimmy Fallon not only smiled for photos and signed autographs, but he also high five’d some fans!! Talk about a GREAT GUY! Love that. Can you tell I’m a sucker for personality? I’m also a VAULT when it comes to these things. If someone ever asks me about Jimmy’s character, I will bring this day up. It shows what kind of person you are when you behave kindly when no one (the Entertainment Tonights and the Access Hollywoods) is looking. Julianne Hough looked adorable with her over-sized bow. I could have NEVER pulled this off but it worked on her. She was accompanied by brother Derek Hough. And last but not least…. I give you Matthew McConaughey. Look at that second shot. Did we share a moment or WHAT? I think he felt it. In fact, I know he did. Forget the fact that he is holding onto one of the most beautiful woman on the planet – Camila Alves. For one second, he was mine. 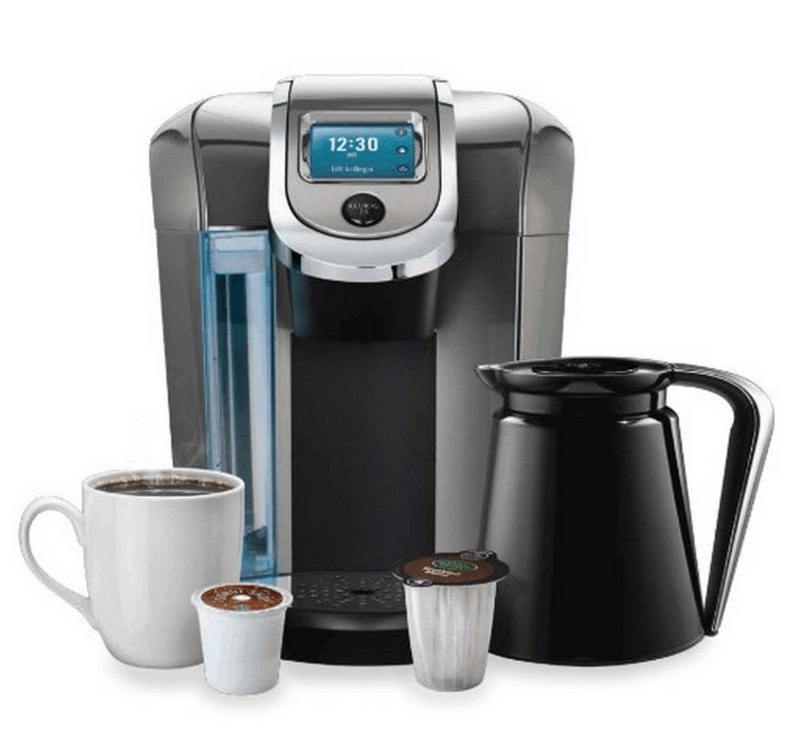 Thank you so much to Keurig for allowing me to come along on this ride. It was a once in a lifetime experience and I will never forget my time on the Emmy’s Red Carpet!!! I enjoyed your wrap-ups SO MUCH. The whole experience must have been BEYOND, and the woman screaming next to you added to a very good story that you will remember forever more. I do think Michelle Dockery walks like that, I have to say. I’ve seen her walk like before but I’m not giving her any excuses! I read every.single.word….crazy lady and all. I’m certain you and Matthew McConaughey shared a moment….though, god love you…the way you took that shot, it feels like we are ALL sharing a moment. This recap is amazing because so many people I adore are RIGHT THERE – from Kerry to Sophia to Amy Poehler to Heidi and Zac. The pictures are phenomenal. So love that you had such an amazing time. Well done, my friend. You’re one lucky lady to be able to cover the Emmy’s! Your photos are AMAZING!! You took some great shots of my favorite celebrities.